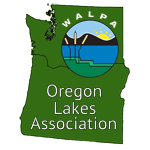 The 2013 joint WALPA/Oregon Lakes Association (OLA) Conference held October 16-18 at the Hilton in beautiful Vancouver, Washington was a great success. This year’s theme of Collaborative Lake Management was exemplified by the joint conference and collaborate we did (sometimes with a cold beverage in our hands)! The conference brought together more than 150 WALPA and OLA members from Washington, Oregon and Idaho and featured a wonderful group of presenters from federal, local, state and tribal agencies as well as universities, consulting firms, lake associations and vendors. Aquatic invasive species like dreissenid mussels (Dreissena spp. 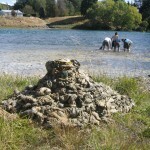 ), New Zealand mud snails (Potamopyrgus antipodarum), Eurasian watermilfoil (Myriophyllum spicatum), and the benthic diatom didymo or “rocksnot” (Didymosphenia geminate) can spread very rapidly. 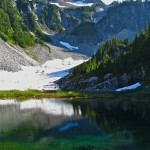 These invaders can harm the ecological functioning of Washington’s lakes and streams by competing with native species for resources and altering habitats. They can also damage civil and industrial infrastructure, in some cases costing many millions of dollars. Because controlling these species is nearly impossible once they have invaded an aquatic ecosystem, the most effective control strategy is to prevent their spread to new systems. 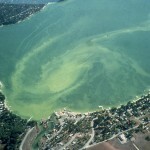 In the 1960’s, residents at Liberty Lake could not help noticing that nuisance blue-green algae blooms were increasing in the lake each year. By the late 1960’s, tons of decaying aquatic weeds and dried algal mats were being removed from the lake. Residents were concerned about the lake’s health and water quality, and turned to the Property Owners’ Association for help. In 1973, the Liberty Lake community petitioned, voted for, and elected commissioners to a special purpose sewer district. 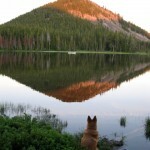 Since 1973, the Liberty Lake Sewer and Water District (LLSWD) has worked hard to protect the health and beauty of the lake that has drawn many residents to the area.